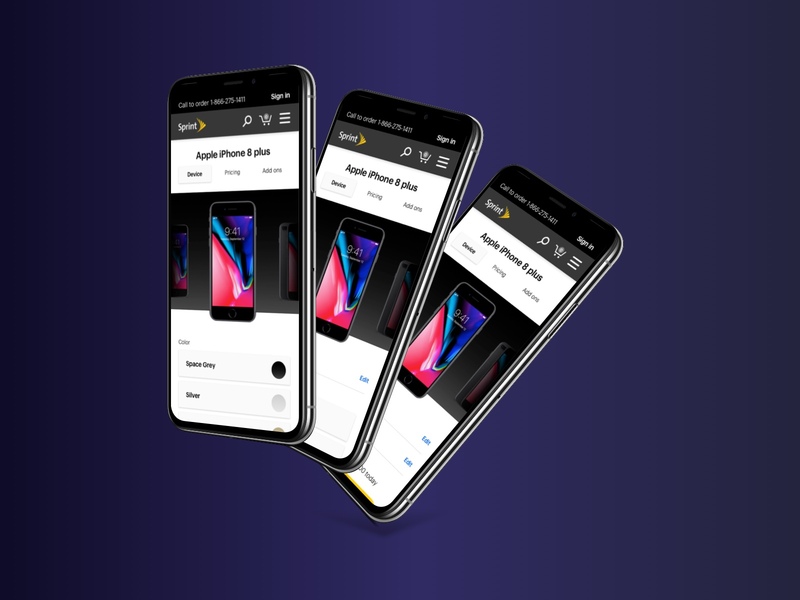 In an endeavor to further improve sales conversion in the upper funnel, areas of improvement were identified in the existing pattern system based on customer feedback from the lab and anecdotally. Selectors and items having relationships to selectors were a cause of concern as these had seen the most post-design churn generated by complicated marketing offers they were not originally designed to accommodate. Updates to interactivity model as well as the selector UI were generated and a testing plan written in order to determine if these pattern shifts reduced friction in the upper funnel. Customer research had indicated that certain page elements were improperly associated with one another and in some cases missed entirely so we knew we had a fun problem to take on. Additionally, we attempted to dispel an internal myth that “more clicks means lower conversion” by introducing a click-through model based on small, focused tasks, designed around improving decision-making confidence. 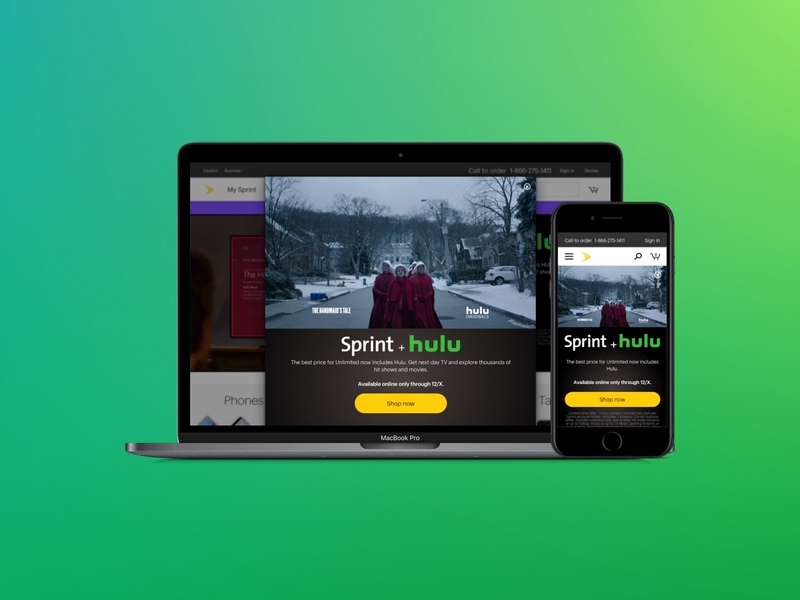 This directly opposed the existing model which found the bulk of customers decisions lined out on a single screen which made for a particularly tricky mobile experience. 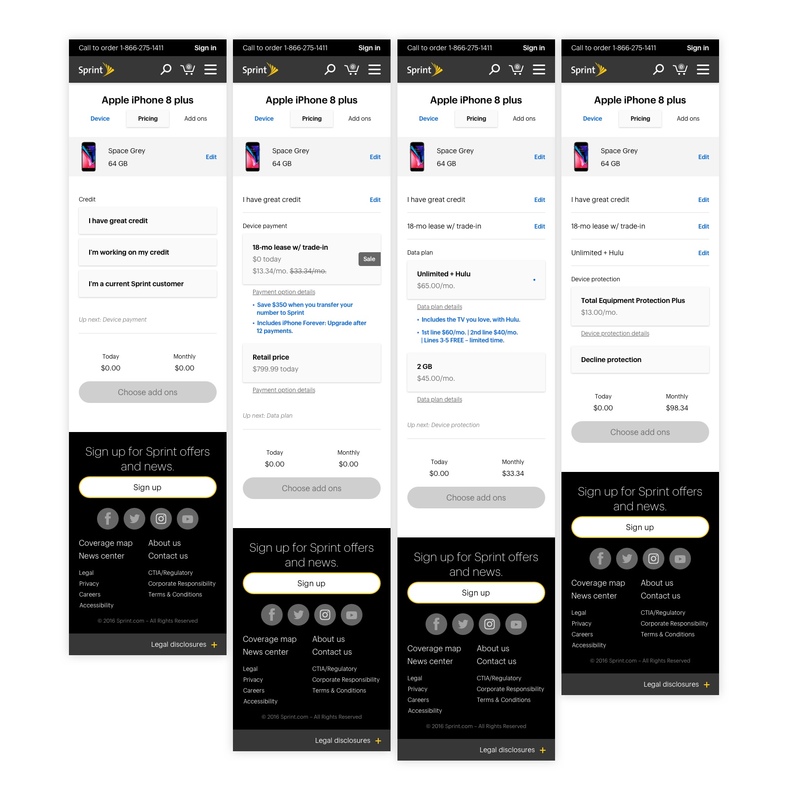 Following completion of the primary task flow, customers were presented with a choice confirmation screen with easy access to prior steps if adjustments needed to be made. 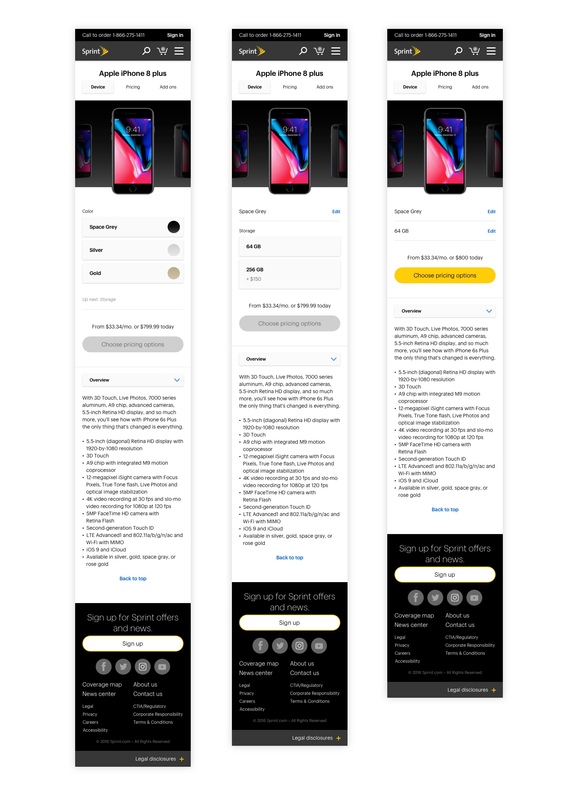 In this iteration, we also moved our cross-sell experience into the pre-cart path in an effort to improve adoption of accessories and services. 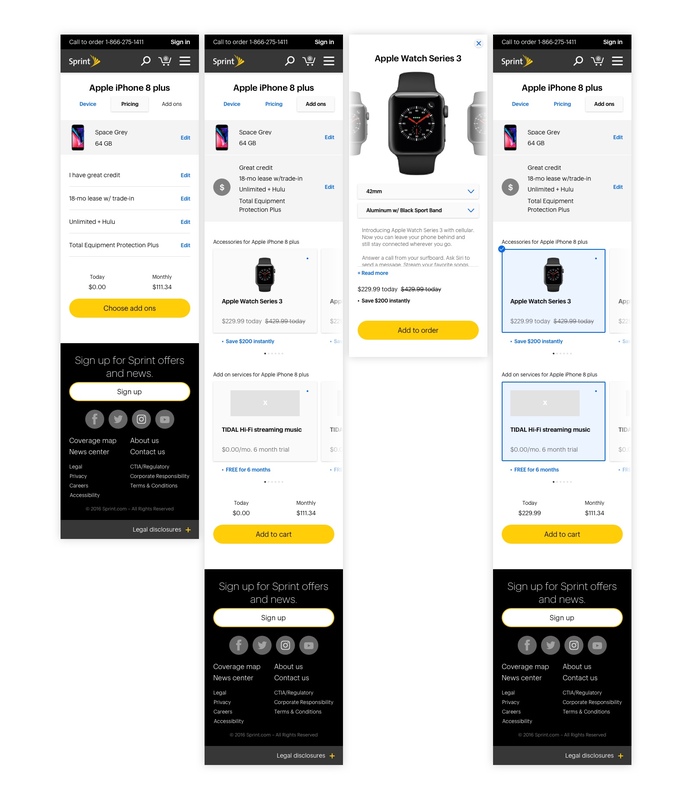 eCommerce conversion improvement exploration for Sprint.com, influenced by quantitative and qualitative research from the Sprint UX Team.